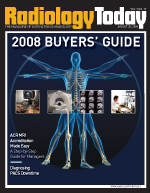 Working in a digital environment is a tradeoff of sorts, say those involved in radiology IT. The technology has helped increase and improve workflow and diagnostics, but it also makes a department’s or facility’s operations more vulnerable to network downtime. When hospitals and imaging centers were film based, computer downtime was not as disruptive to workflow. Some work could still be done if the system was taken down for maintenance or if it crashed. However, most imaging facilities today rely on some sort of PACS and RIS to serve their patients. In a digital environment, even a brief interruption of computer service—planned or unplanned—can wreak havoc on clinical operations. The good news is that PACS administrators and informatics experts agree the disruption from scheduled downtimes and even crashes can be minimized with proper planning. “Planning is critical and must involve all of those who are involved with the systems—the technical staff, the clinicians, and the administration,” says Steven C. Horii, MD, FACR, FSIIM, a professor of radiology and the clinical director of the medical informatics group at the University of Pennsylvania in Philadelphia. There is never a good time to take a PACS or RIS down, says R. L. “Skip” Kennedy, MSc, CIIP, technical director of imaging informatics for Kaiser Permanente medical centers in Northern California, but by negotiating with all the clinicians who use it and the facility’s administrators, you can find some times that are better than others and try to accommodate everyone as well as possible. Most facilities, even hospitals with level 1 trauma centers, have times that are less busy and, if the staff know about a downtime in advance, they can plan to work with a PACS on backup and diminished capacity, Kennedy says. To schedule downtime for maintenance or upgrades, the medical center requires at least 14 days notice, and everyone who could be affected knows about the downtime well in advance, Kennedy says. And the schedulers can adjust accordingly. “If we know the system will be operating on backup, we won’t schedule CTs or MRIs for that block of time. The backup systems should be able to handle the walk-in emergencies,” Kennedy explains. Toland says to keep scheduled downtime minimal, it is important to run a full backup before it starts. Horii also notes that backups should be checked prior to a downtime situation. “Never just assume that they are working,” he says. PACS vendors will generally recommend an unscheduled full backup before any upgrades because there’s always the risk of losing data, Toland says. However, a common mistake people make is to start the downtime and then do the backup. “That means it’s going to create a longer downtime since it will include the backup plus whatever you have to do with that downtime. You want to be able to work with the vendor to schedule the backup so that you have it start before the downtime and end as close to the beginning of the downtime as possible,” he explains. As part of the action plan, Toland says to identify the point of no return. “When you’ve taken the system down to do an upgrade or just make some configuration changes to resolve a problem, you have to decide at what point you can’t go backwards and undo the changes,” he says. If something goes wrong, decide whether to stop and reschedule the downtime or proceed and know that the PACS may be down for additional time, he says. One possible worst-case scenario is that you will have to reinstall from backup, Toland says. “Restoring from backup is always difficult due to the large quantity of data often associated with PACS.” A radiology department that does about 60,000 studies per year has about 1.75 terabytes of data and to restore them from tape could take more than 24 hours. “If your planned downtime was two hours and it goes bad, it could turn into a two-day catastrophe,” he says. The action plan will help ensure that downtime activities go smoothly and the engineers and administrators can accomplish their tasks in the time scheduled, Toland says. Not everyone will be involved in the downtime planning at the technical level, but a detailed action plan can help everyone understand what will happen, Toland says, and the same is true of the on-site resources. “They’re sending out the vendor because the vendor specializes in it, but the on-site resources want to participate and have a better understanding of what is happening,” he explains. The action plan must also include documentation of all tasks to be performed during a scheduled downtime, and the documents become a template for future downtimes, Toland says. “An action plan also helps because you’re going to sit down with a group of people and think about every step that has to happen. The more you plan about the different steps of the upgrade, the more seamless it will go. You feel a lot more confident as you’re doing it since you have a detailed action plan,” he says. Horii adds that, if possible, it helps to have extra staff before a planned downtime. At Penn, he says, three additional attending radiologists and four additional fourth-year residents each covered a six-hour shift during a planned downtime. Then he and his colleagues compared report turnaround times for a previous planned downtime, an unplanned downtime, and the planned downtime with the extra staffing. The report turnaround time for the planned downtime with the extra staff was significantly better than the downtime when the extra staff were not available. The downtime with the extra staff also was better than typical uptime periods, he says. Vendors believe their systems are extremely reliable and not subject to crashes. “I’ve heard vendors say that their systems never fail, but that’s simply not true,” says Kennedy. Unfortunately, not much can done when it comes to unplanned downtime, but having disaster recovery and business continuity plans in place as The Joint Commission and HIPAA require will help, Kennedy says. How redundant the systems are (or need to be) depends on the type of facility and whether it is a major medical center with level 1 trauma care or an imaging facility in a rural area. One key when a system crashes is to set timelines for action. Decide up front how long the system can be down before the technicians call for help from the vendor or others. “You can say that if the system is out for more than 30 minutes, you will call the vendor,” Toland says. If you don’t plan that call and stick to your deadline, he says, another 10 or 20 minutes could pass while you try different solutions and nothing works. “The next thing you know, an hour has gone by and you haven’t told anybody,” he says. Also, when the system crashes, keep users informed of what’s happening and how much longer it may be down, Toland says. If they are informed, they won’t keep calling the IT department and distracting those who are working to fix it. That information will be extremely useful should something similar happen in the future, he says. From the postincident review, you can create a proactive plan to prevent the failure.